Did you know there was such a thing? 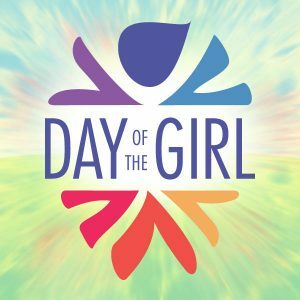 While we firmly believe in encouraging the girls in our lives every day, it's nice to know that the UN has set aside an entire day to honor girls! International Day of the Girl was first recognized in 2011, when the United Nations general assembly voted to set aside Oct. 11 as a day to honor girls and work to improve their lives. It's a day for sharing inspiration and spreading awareness. This year's celebration centers on the theme "Girls' Progress = Goals' Progress: What Counts for Girls. "In the United States, President Barack Obama took International Day of the Girl as a moment to shed light on Americans' work to get more young women involved in the historically male-dominated science, technology, engineering and math fields, push for equal pay and campaigns to curb sexual assault on college campuses. So today, take extra time to inspire, enliven, and encourage all the girls in your life!